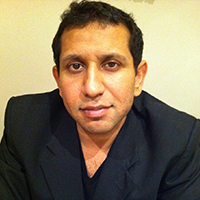 Having been a senior executive in the international media industry for companies including Fox Kids Europe, MTV Networks Asia-Pacific and Fox Sports in the US, Rohin Malhotra established himself in Gaming when he became head of Programming & International Marketing for operator PartyGaming in 2005. Since then, he has been CEO and managing director of World Poker Tour Enterprises leading to its sale to bwin.Party, director of Chiligaming leading to its sale to Bally Technologies and founder/CEO of social betting game Bookie Mania which entered into an equity partnership with Muckleshoot Tribe of Washington State. Today, he heads Boofel Enterprises, an international media and gaming consultancy specialising in generating revenue, establishing B2B partnerships and establishing large-scale and risk-averse B2C marketing strategies, and he also serves as Non-Executive of BJX Entertainment.